You knew them as Foster Care Homes for Seniors. Today, the preferred name is Adult Care Homes. Aging in the RIGHT PLACE is the goal for our seniors. Families and seniors have many choices. Large, medium, and smaller more intimate living options abound. 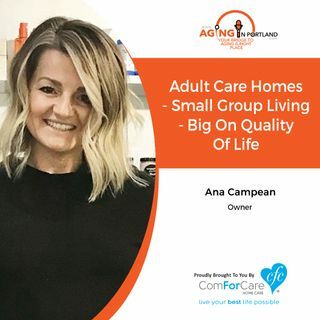 Ana Campean, Owner of Willamette Falls Adult Care Home, shares how Adult Care Homes can make a difference in the quality of life for those seeking a smaller more personal approach to aging in the right place. Discover Adult Care Homes...Could ... See More this be your preferred option of choice?